Good day, everyone! It's Rebecca hosting the blog post today. PowderPuff Chalk Inks are so versatile and are a staple in my crafting. 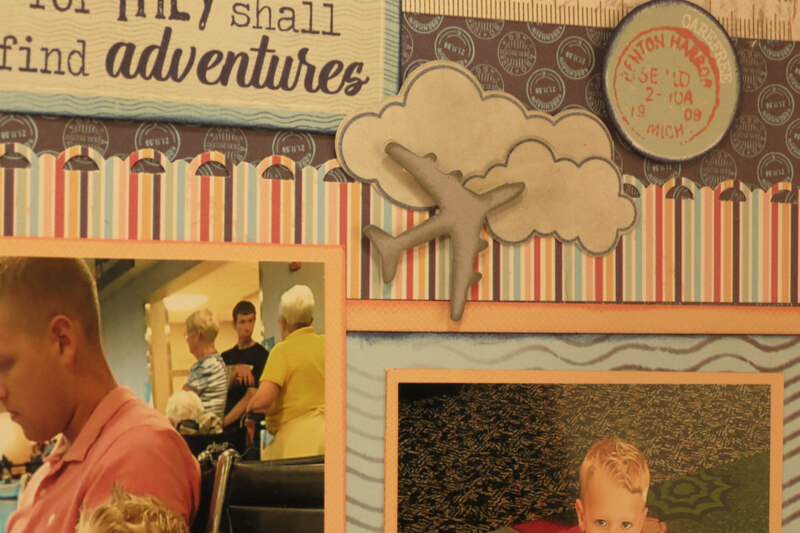 Of course, they are excellent to add a distressed look to the edges of paper and cardstock. 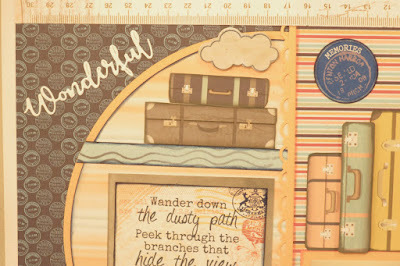 They also cover chipboard quickly and easily and stamp beautifully with any type of stamp; polymer, red rubber, etc. 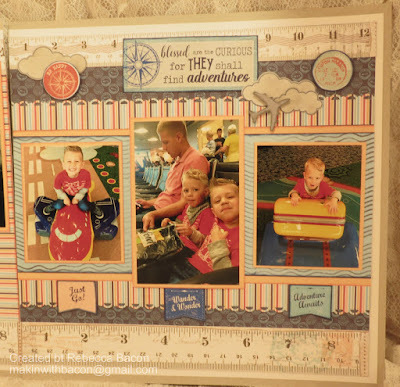 They also blend very smooth to create backgrounds for cards and photo mats. I used my chalk inks in a few of the ways I mentioned to create the following layout. 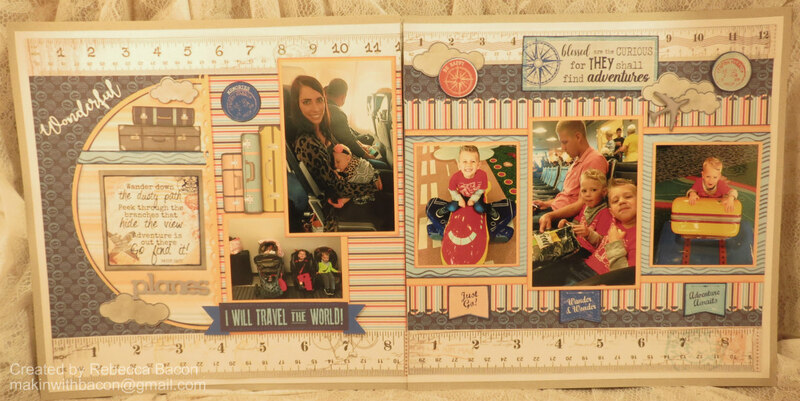 I began my layout by gathering my embellishments. I stamped the clouds on white cardstock using Deep Sea PowderPuff Chalk Ink, then cut them out using a coordinating die. 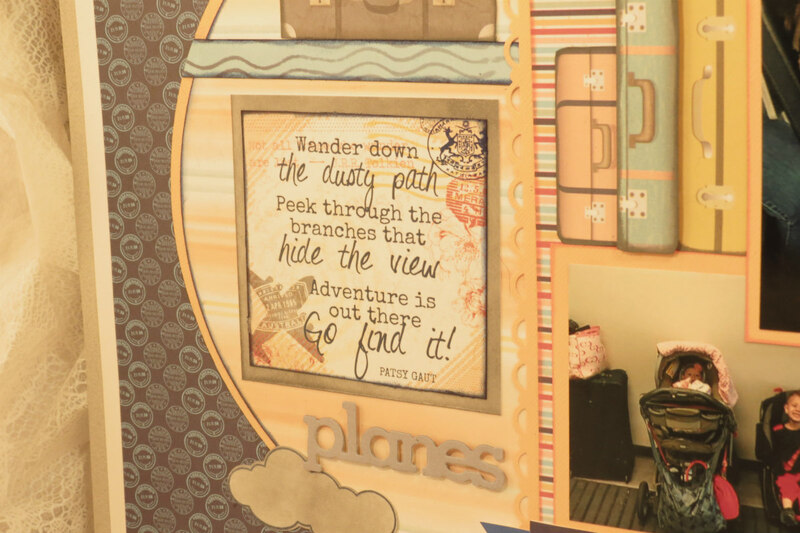 The airplane was die cut out of grey cardstock and inked with Cool Gray PowderPuff Chalk Ink. I used a 1.25 inch circle punch to punch out the circle sentiments from the Cardstock Paper Phrases. I used Deep Sea PowderPuff Chalk Ink again to ink the edges. 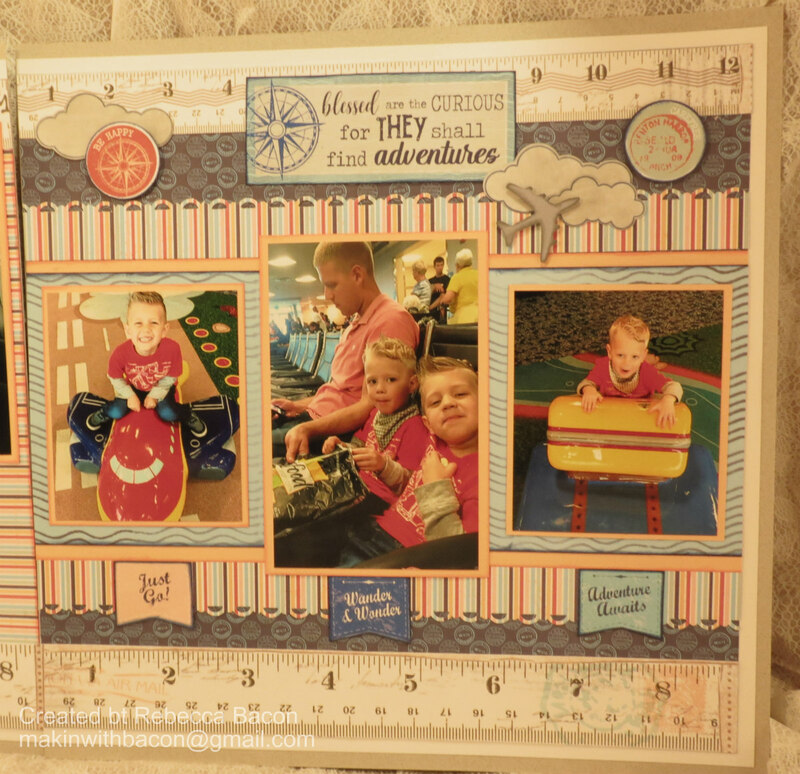 Next, I created my photo mats by taking plain white cardstock and using a blending tool. I layered Cool Gray until I achieved the level of color I wanted. It was the perfect mat for the cardstock phrase I had chosen. 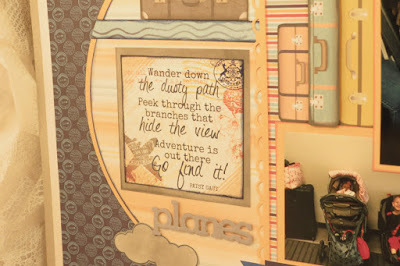 I also used the same color to edge the individual suitcases I fussy cut from the paper. I used Tropical Punch PowderPuff Chalk Ink to edge the semi-circle and striped paper as well. 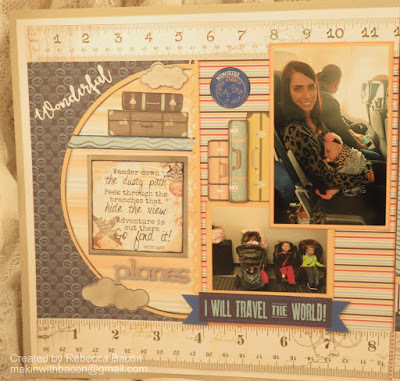 Border Punch by Stampin Up! 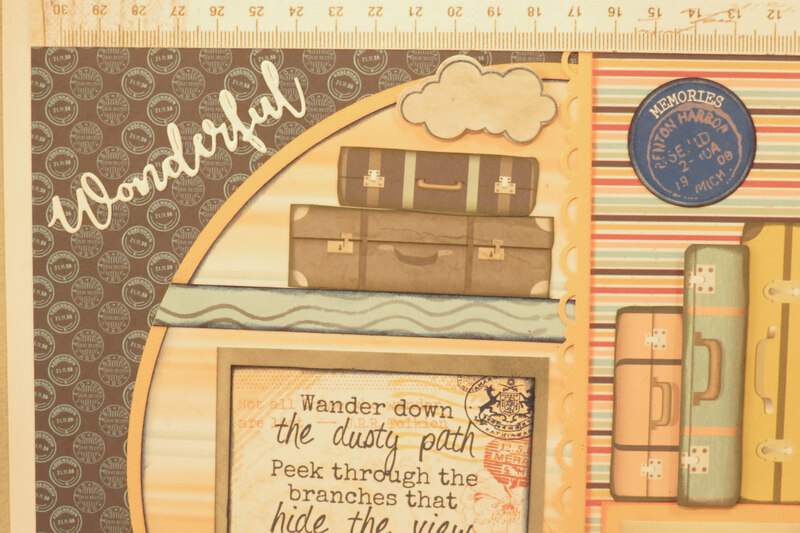 Such a great layout and lots of great uses for the chalk inks.